Dnipro in eastern Ukraine hosts a fascinating European Trophy first leg this weekend. The depth of talent in European Sevens means that this year’s European Trophy – the second level Rugby Europe sevens - features at least four teams who are more normally associated with the top level Grand Prix. 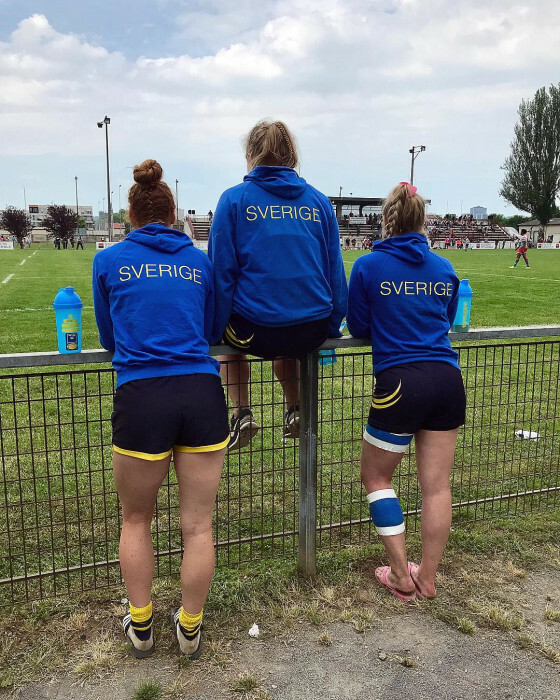 Sweden (Pool A) – the top seeds - looked very good in the warm-up tournaments, winning the Bonn Sevens, and gaining good wins over Germany and Belgium and an overall third place in the Stanislas sevens. They look solid promotion, and overall championship, favourites, despite two late injuries after the squad was announced which will have disrupted preparations, David Mobbs-Smith has continued to show his faith in Victoria Petersson, the young star of Swedish rugby who will captain the team on her international sevens debut. Netherlands (Pool B). If Sweden’s absence from the top table this season is a surprise, the absence of the former World Series core team and Olympic contenders seems remarkable. But the Dutch were outclassed in last year’s Grand Prix, ending bottom on the ranking. A young, new team is now evolving and their pre-tournament performances have been promising, with a fourth place at Centrale (losing to Wales, but beating Sweden and Belgium) and a great run to the quarter-finals at Amsterdam last weekend is encouraging. They are getting used to winning and have only lost to higher ranked teams. Ukraine (Pool C) are the yoyo team of European sevens – so often promoted from this level only to go back down again. Hosts in the first leg they will be a real threat. A good fifth place at Centrale – with Olga Blanutsa back in national colours despite her “retirement” last year – was excellent preparation. They will almost certainly reach the last four and it would be no surprise to see them in a final. Outside the top three Finland (Pool A) were playing in the Grand Prix just two years ago, but disappointed last year and preparations this year suggest that they may still be wanting when it comes to promotion. They should be chasing a semi-final spot and should do better than last year’s seventh place, but their warm-up performances would suggest that they are not as strong as the team that won promotion in 2015. Other teams to watch include the Czechs (Pool B), finished fourth in Bonn and who had a good first day in Amsterdam are drawn here with their great rivals Switzerland. Both are capable of good results and should make the quarters and have an outside chance of going further. Romania (Pool C) were the big surprise team last year with two Bronze finals, both lost to Ukraine, so will be a team to watch this year as well. That performance has given them a pool draw this year that should see them comfortably into the last eight. Hungary (Pool A) – normally a team associated with the Conference - also had a great year last year and should also be in the running for quarter-finals. The remaining teams – Austria (Pool A), Norway (Pool B), Israel and Latvia (Pool C) will probably be targeting survival at this level as much as advancement to the Grand Prix. Austria and Norway come into the Trophy fresh from promotion from the Conference. Austria were fifth at the Bonn Sevens, beating Finland, while Norway come into the tournament with Amsterdam behind them, where they had a couple of wins but failed to qualify for the senior competition on the second day. Israel have also had a warm-up at the Stanislas sevens, but came away without any wins against international teams. Two teams must be relegated.